Florida Gov. 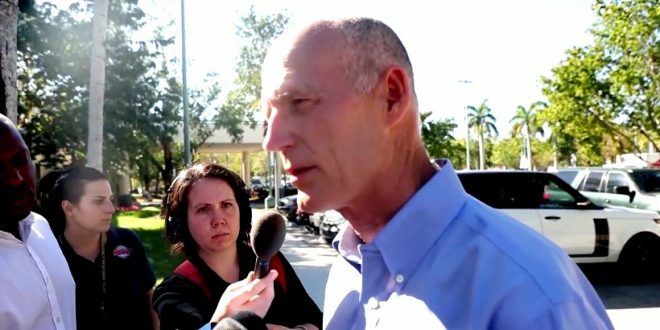 Rick Scott: FBI Director Must Resign - Joe.My.God. Florida’s Republican Gov. Rick Scott is calling on FBI Director Christopher Wray to resign, after the FBI admitted it received a tip about the suspect in the Parkland shooting as recently as January, but failed to follow through on it. “Seventeen innocent people are dead and acknowledging a mistake isn’t going to cut it,” Scott continued. “An apology will never bring these 17 Floridians back to life or comfort the families who are in pain. The families will spend a lifetime wondering how this could happen, and an apology will never give them the answers they desperately need.